Since May 2018, the sargassum seaweed massive stranding on beaches phenomenon is back in the West Indies, Cuba, the Caribbean and even Mexico. What are the consequences of the brown algae decomposition? Which gases are released? What are the detection and protection means against this sargassum gas? Sargassum seaweed – also known as brown algae – is a type of algae evolving in huge beds in the Atlantic (some beds diameter exceed 45km). Since 2011, massive beachings of sargassum seaweed on the Carribean coasts of the Atlantic has been a real environmental and public health problem. The West Indies and French Guyana are regularly affected by this situation as well as other countries in this area: Mexican coasts, the Dominican Republic, Puerto Rico, Cuba and even Florida are also affected by toxic sargassum seaweed accumulations that can sometimes exceed one meter thick. In 2018 tens of thousands sargassum seaweed tons (more than 40,000 tons) beached on Guadeloupe, Martinique, Saint-Martin and even Guyana coasts. Sargassum seaweed accumulates on shores, traps sea animals, blocks ships access and its decomposition releases toxic gas. In order to deal with these dangers sargassum programs have been launched in June 2018. In Guadeloupe and Martinique – which are the most affected islands – local authorities and communities develop actions: campaigns to measure sargassum gas concentrations in the air to confirm health risks and environmental danger, cleaning operations depending on residential areas and most popular beaches, collection of sargassum algae beds off the coasts… Closures of schools located closed to beaches and cleaning at the height of the tourist season are the first answers to the sargassum phenomenon. A problem that affects inhabitants’ health, environment and the economy of the concerned countries. WHY ARE SARGASSUM SEAWEEDS TOXIC? Even if sargassum seaweeds are not toxic by themselves, once beached they enter in a decomposition stage and release toxic gases. Hydrogen sulfide(H2S) which is a colorless gas naturally present on Earth. It is produced by decomposition of organic and bacterial matter and can also be industrially produced. Hydrogen sulfide is a toxic gas with harmful effects on health from 10 ppm and can lead to death at high concentrations. Decomposing sargassum seaweeds also release ammonia (NH3)– also known as hydrogen nitride (composed of nitrogen (N) and hydrogen (H2)). Ammonia is a flammable, explosive and toxic gas even at low concentrations. Gases released by sargassum algae decomposition are highly toxic (hydrogen sulfide and ammonia). Exposure and inhalation of these gases, even at low concentrations, can cause many dangerous effects on health. Furthermore, people with asthma, children and pregnant women are more sensitive to these gases effects on health. Lastly, being exposed to hydrogen sulfide (H2s) and ammonia (Nh3) at a certain level of concentrations can lead to death (100 ppm for Nh3 and 1,000 ppm for H2S). Sargassum gas released by brown algae decomposition on West Indies coasts constitutes a real hazard. HOW TO MONITOR SARGASSUM GAS ? Hydrogen sulfide and ammonia, which compose decomposing sargassum seaweed emanations, can be detected through smell – rotten egg smell for H2S and pungent smell for NH3. Yet the olfactory perception decreases as the concentrations released by algae increases. Beyond 50 ppm for NH3 and 100 ppm for H2S, it becomes impossible to discern these smells. This is called the olfactory fatigue effect. In order to avoid this and accurately measure concentrations of these toxic gases, using a dedicated gas detector is required. This is the most cost-effective solution but less convenient than using a multi-gas detector. In order to monitor presence of toxic gases released by sargassum seaweeds, two portable single gas detectors are required: one for hydrogen sulfide (H2S monitor) and one for ammonia (NH3 detector). 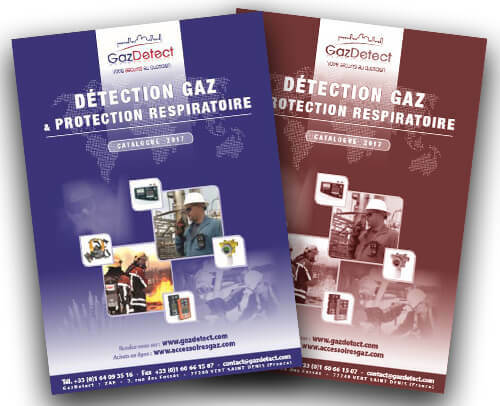 The most commonly used device for this application is the disposable gas detector as it requires no particular maintenance. Using only one device is more convenient for measuring the targeted gases. A multi-gas detector equipped with NH3 and H2S sensors can be used to properly monitor sargassum gas concentration levels. Other sensors can also be added on the device like CO or CO2 which are potentially released (at lower concentrations) during the algae decomposition process. These two detector types can efficiently monitor concentrations of gases present in air (expressed in ppm) and alert about sargassum seaweed hazards. Other solutions like area gas monitors or fixed gas detection systems are available too but are rarely used for monitoring concentration levels of gases released during the decomposition of sargassum seaweed. People operating in polluted areas with toxic gases like ammonia and hydrogen sulfide must be equipped with adapted respiratory protection masks – in addition to a gas detection units. Thus people who collect sargassum seaweeds or treat them must use a respiratory protective mask equipped with an ABEK filter for short term interventions. As brown algae emanations can irritate the eyes, it is recommended to use a full face mask that entirely protects the user’s face (instead of a half-mask). For long term exposureit is highly recommended to use a powered air purifying respirator with hood or mask also equipped with ABEK filters. If gas concentrations exceed 60 times the OEL(occupational exposure limit), it is required to use a self-contained breathing apparatus to evolve in polluted areas.